"El Trangulito Dos" by Jesus De La Rosa. Jesus De La Rosa spent his early life traveling across the U.S.-Mexico border. His parents worked in Mexico, but lived in Texas, and that experience plays a pivotal role in his art. 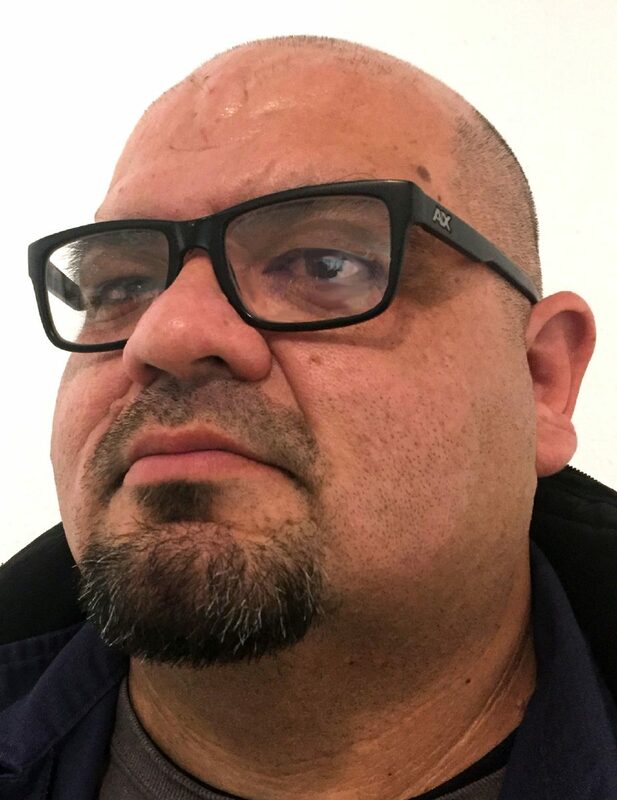 The Associate Art Professor at Texas A&M University-Kingsville, grew up in the Rio Grande Valley and Nuevo Progreso, Mexico. 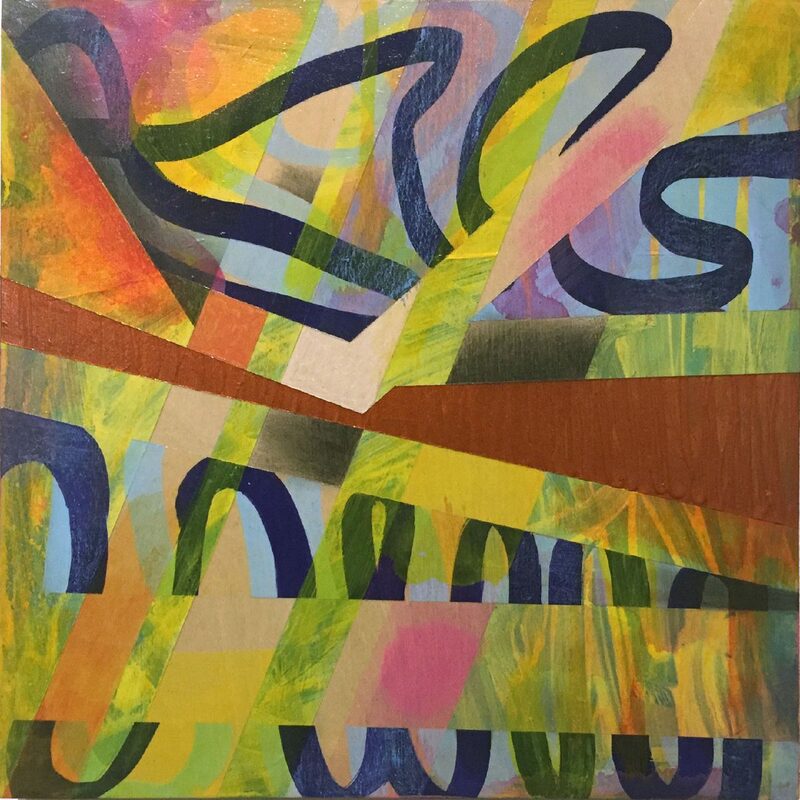 His new exhibit, “One More Time with Feeling” at Beyond Arts Gallery in Harlingen combines De La Rosa’s practice of subjective abstraction with landscape and features some of the artist’s larger previous works along with a series of recent small acrylics. While the previous works are much more complex, the smaller works are succinct compressions of the artist’s reactions to the land of South Texas. "This Side of the Fence" by Jesus De La Rosa. "05" by Jesus De La Rosa. "021" by Jesus De La Rosa. "023" by Jesus De La Rosa. "El Canal" by Jesus De La Rosa. Growing up on the border gave De La Rosa plenty of time to observe the varied landscape, and allowed it to stamp both grand and intimate impressions onto his psyche. His paintings reflect the things he has seen and felt while reacting to the land. More recently, he has collected colorful observations while driving the Valley-to-Kingsville roads. The large paintings often include geometric pale blue shapes/sections where the sky interacts with the land to form a vista. The complex painting, “El Trangulito,” speaks of the divisions. De La Rosa recalls how the land was divided when his father farmed it. 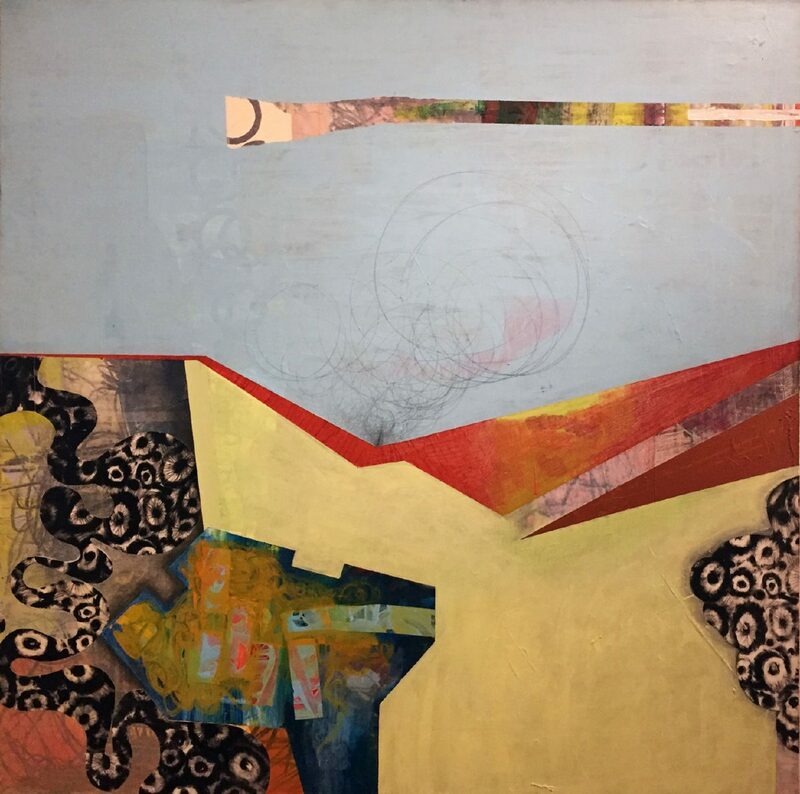 The blue sky-shape cuts through this landscape, dividing tangled layers of shapes and textures, and touching other flights of spatial division. A color chart fastened to the top of the painting adds the ultimate division and transcends the painting itself. “This Side of the Fence” looks at the border wall. “A lot of my work is based on people moving, but instead of painting people, I do it without the figures,” he said. In these paintings, circular shapes represent people and exquisitely reflect the artist’s intense process. 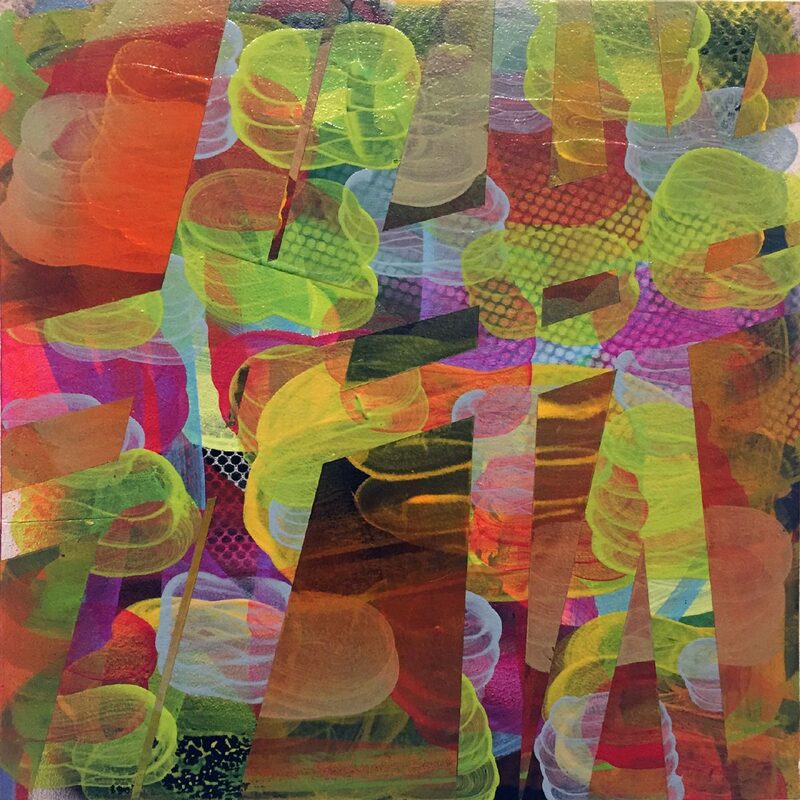 Multiple layering of paints and various materials constantly interact. Collaging vellum helps the artist minimize the information of previous layers while torn pieces of appropriated material are forced to adapt to his message. The small paintings extend across the length of the large gallery’s south wall. 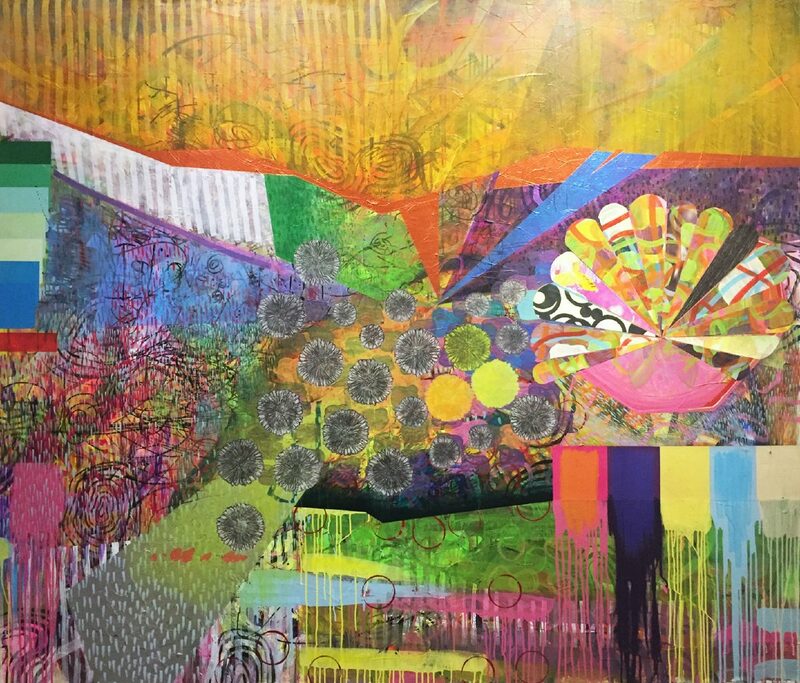 De La Rosa said for this exhibit he put more consideration into cross sections and reactions with these works, allowing them to become multi-layered memories that overlap and fuse on his painted panels. With “05,” thoughts are intersected and sometimes altered by those subsequent. Below the copper shape, there is order; above it, disorder. 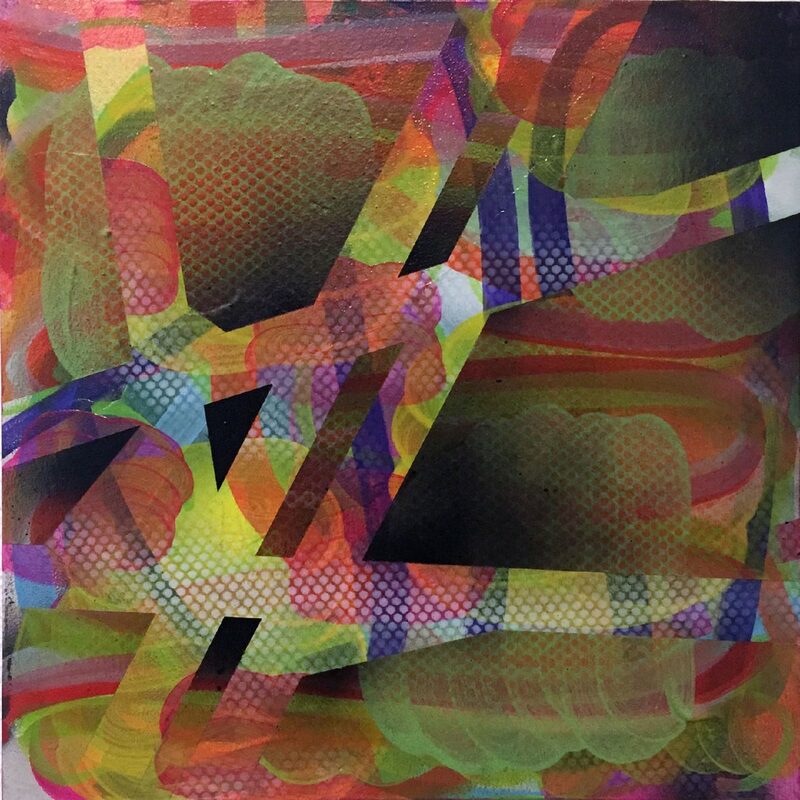 These process-intensive small works utilize 30 to 40 layers of tones, colors, and images to achieve their visual richness. By depicting the ever-changing landscape as it exists empirically and mentally, De La Rosa creates time-lapsed perceptions, memories and impressions, and compresses them into a single visual moment. 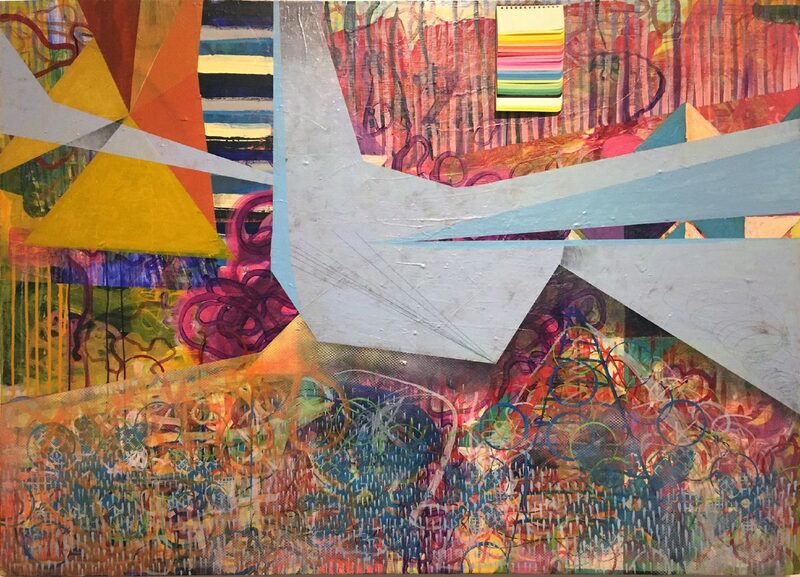 This story was updated to provide the correct name of the artist, Jesus De La Rosa.